ComboFix is a powerful antivirus program that helps you scan your PC in order to remove all common spyware and several types of malware activities. The application enables the manual removal of spyware infections as well. The system security tool has the ability to create a backup of the registry as well as system restore point, in case of crashes occur. The scanning process takes around 10 minutes if infections are minor, but can extend to a much larger time period if the PC is populated with a number of serious threats. Once the scanning process has been finished, the spyware and malware removal tool creates a detailed report for the user. You can use this report to search and remove infections that are not automatically removed. What’s more, ComboFix for Windows is able to detect combinations of common malware along with spyware threats, making your machine clean from the first run. Though the Windows software has a clean user interface, beginners may find difficulty while accessing the program. ComboFix is mainly designed for advanced users, computer technicians, IT professionals and system administrators. 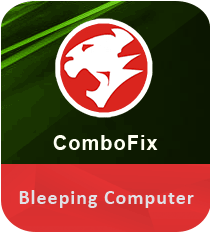 Download ComboFix today to scan your system for spyware and malware infections. ComboFix is an efficient security tool that is designed to scan your computer for spyware as well as malware infections. The anti-malware utility also displays a report that can be used by trained helpers to remove malicious programs which are not automatically removed by the software. It is not the application you should try to use if you don’t have any experience with this type of app or if you don’t have someone there to help you. Overall, the cleaning tool quickly scans your Windows machine and undertakes an intensive search-and-delete operation.